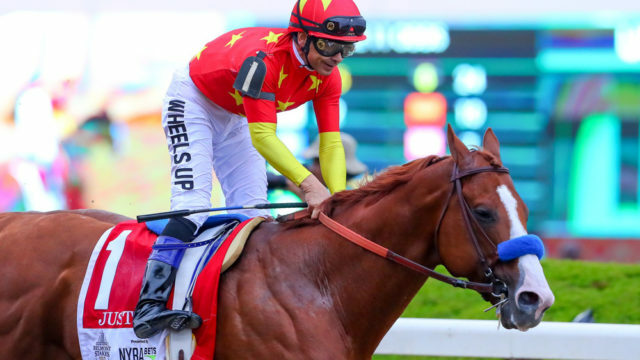 Justify, the horse that won the Triple Crown of horseracing this season will retire undefeated, it was announced Wednesday. The racehorse arrived at the Del Mar Thoroughbred Club last week but has been sidelined since his victory at the Belmont Stakes on June 9. 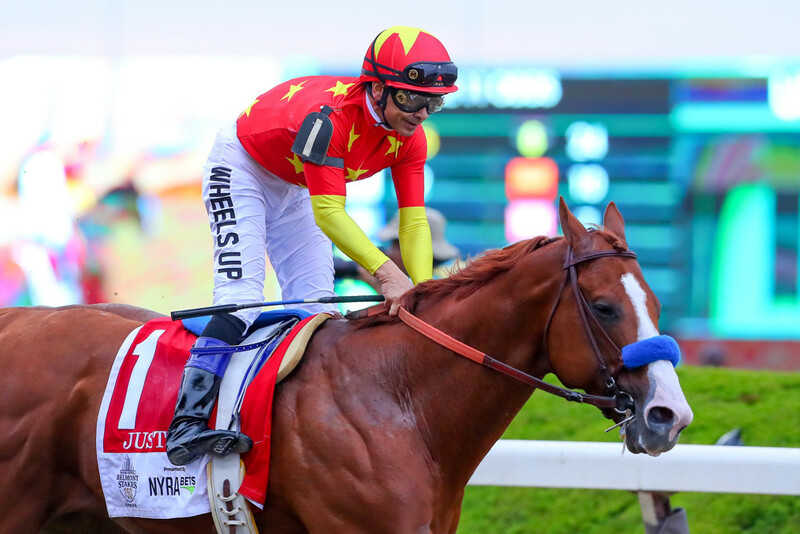 Justify has inflammation in his ankle, or filling in racing parlance. It was unknown then if he would appear in the Pacific Classic, Del Mar’s premier race on Aug. 8. Now it is confirmed that Justify’s appearance at Del Mar will be ceremonial. He will be in the parade Saturday. “The parade at Del Mar will be a great opportunity for the fans in the San Diego area to come out and see him,” Baffert said. Justify is the first Triple Crown winner to retire undefeated. The three-year-old colt, by far, has run the fewest races of any Triple Crown winners. He ran in six races his entire career in a span of 112 days, including the Kentucky Derby, Preakness and Belmont, winning all of them. American Pharoah, also trained by Baffert, was next with 11 races. Bought for $500,000, Justify has earned $3,798,000. After his appearance at Del Mar, he will return to Winstar Farm, the horse’s majority owner, for studding. His studding rights have been estimated at $75 million.